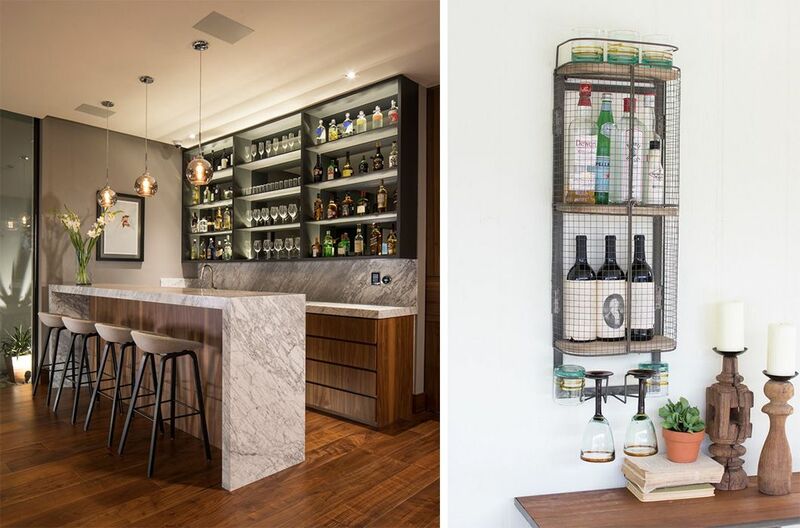 A home bar is the one thing every grown-up home should have, says no one! But what’s the harm in having one? 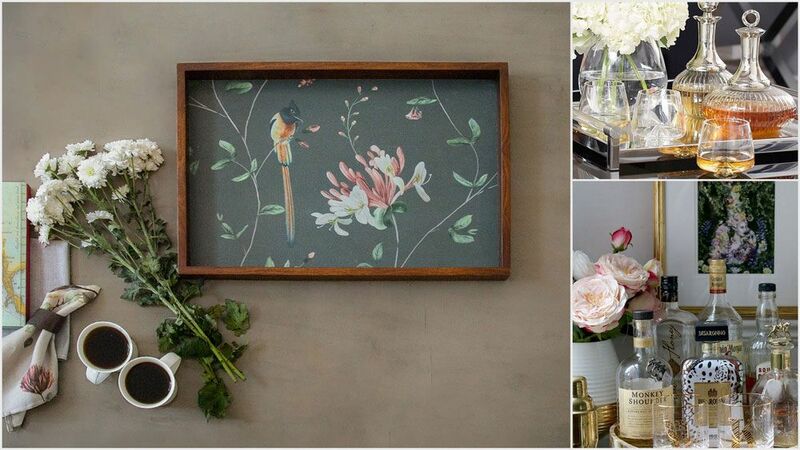 Even if you don’t drink, you might want to have something on hand to offer your guests and moreover, it can always add an unexpected element of design to your interior spaces. Rather than routing around every time someone comes over, why not follow our tips and create your own drinks station? Open kitchens, home bars and modern designs have all pushed the stool into the spotlight as a trendy seating solution. Today, stools are a staple seating choice for bar tables, kitchen countertops, breakfast bars and small spaces. However, there are no industry standards for counter and bar stool heights, so taking your own measurements is important. 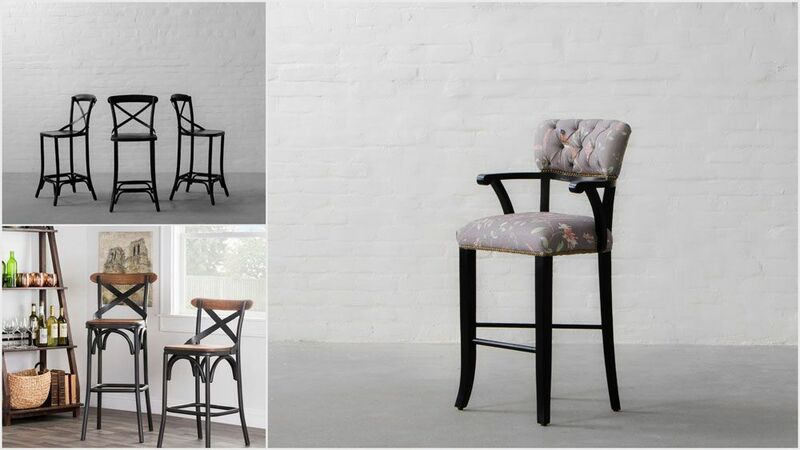 Choosing the ideal bar stool height also relies on space limitations, style and comfort. Bar stools come in four marketable heights, namely Table, Counter, Bar & Tall, named for the seating surface they pair with. To determine which you need, simply measure the height of your tabletop (refer to the picture below). Adjustable bar stools, outfitted with hydraulic pumps that allow you to move the seat up or down, are a flexible alternative that can transition throughout spaces and various uses. The number of stools you can fit in your seating area is determined by the amount of space you should leave between each to allow for easy maneuvering. Here are some rules that might help! 1. Leave 6” between seats if the bar stool is 16”-18” wide. 2. Leave 8”-10” between seats if the bar stool is wider than 18”, has arms or swivels. 1. Before you start, make sure you're pulling in tabletop and bar accessories from different sets. A mix of materials, like horn, brass and ceramics, help it look curated and rich, just like you are using a fun group of things you've collected over the years. 2. Bring in a beautiful tray to give height to different things and build a platform to show-off your treasured collection. 3. Accessorize with extravagant pieces that are both functional as well as decorative,such as a large organic bowl to hold ice and sodas or an old school glass decanter with embossed details. You can’t make a proper drink without the proper tools and cannot relish it without the proper glassware! Your standby bar tools must include bar spoons, a muddler (long sticks), a jigger (shot measurer), shakers, Hawthorne strainers and a corkscrew. To have a good sip of alcohol, you need two things: the spirit of your choice and an actual glass. Yes, you could drink from the bottle, but sometimes that doesn’t go well with the other four people who are planning to have a drink too. Each cocktail you master should be poured into a specific glass style and that’s why glassware is crucial and you should definitely invest in some. 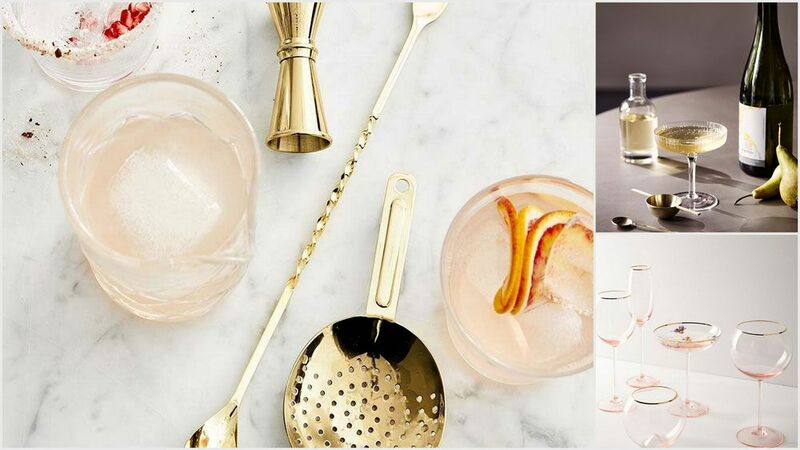 Essential glassware and stemware include cocktail or Martini glasses, Highball and Collins glasses, Old-Fashioned (or Rocks) glass, shot glass, Champagne glass, Red Wine & White Wine glasses, Beer mugs and specialty cocktail glasses. Whether you’re a liquor connoisseur, self-proclaimed mixologist or just a lover of fresh cocktails, you probably have at least a small collection of hard alcohol at home. But if you’re low on kitchen cabinet space (who isn’t? ), where do you store your bottles of tequila and gin? 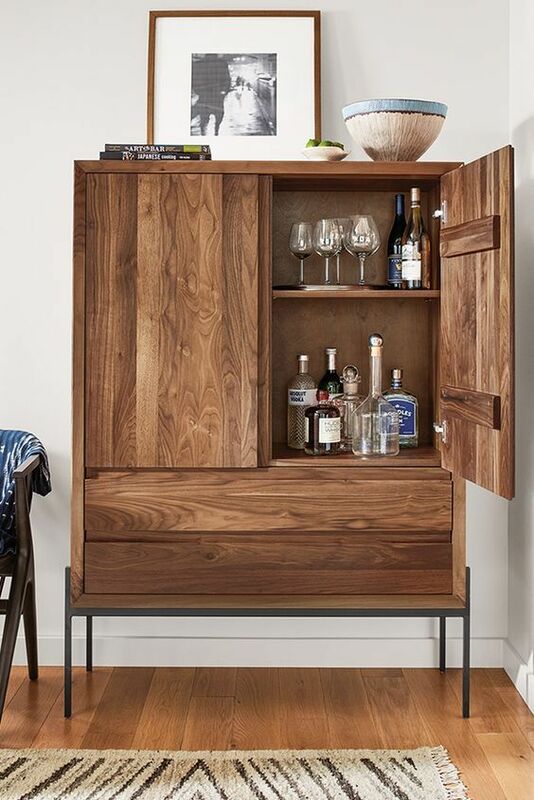 Here’s a hint: A well-styled bar cart, though aesthetically appealing, isn’t always the best solution; a bar storage is what you should be looking for! Moreover, when not in use, such storage can always be beneficial around the kitchen or the living room area. Many people think that liquor lasts forever, we hate to burst the bubble, but that’s not the case. While some types will stay good for quite sometime, others have a more complicated shelf life. If you want to keep your spirits spirited longer, here are some quick tips on how to store your liquor properly (the reasons why we insist on a bar storage). 1. Store your bottles away from streaming sunlight. 2. Alcohol likes to stand, so keep them upright. However, keep your wine bottles on their sides, with the wine constantly in touch with the cork, as this will reduce the risk of having a ‘corked’ wine. A bar in your home allows guests to congregate in a specific area, while you finalize the finishing touches for dinner. It is also an area that allows you to have a night cap or cocktail after a long day. Hence, lighting can have a great effect on your mood and finalizing your bar lighting should be just as important as the bar design itself. 2. Hanging Bulbs: The right bulb can help your lighting mirror the drama in a high contrast space such as your home bar. Just like highly concentrated spotlights;hanging bulbs (either Edison or Filament) can emphasize specific features of your bar while also creating an offbeat and a bold trendy statement. 3. 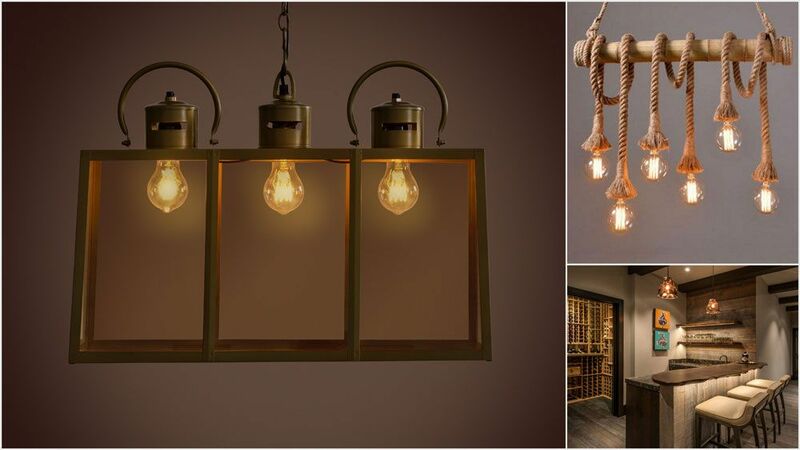 Cabinet Lighting: Showcase lighting can be used in your cabinets or as spotlights to highlight your pretty glasses, bon china or statement pieces. Typically, cabinets have one single light that’s centered and installed on the inside of the cabinet shining down to illuminate an item. But there’s not just one way to execute this look, so get creative with it! That’s it. With these simple tips, you can get your at-home bar up and running. Before you know it, you will be the neighborhood’s favorite at-home bartender.